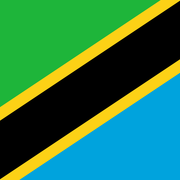 I have been given the opportunity to volunteer in Tanzania as a memebr of the UCDVO project 2017. I will be going to Morogoro with other volunteers where we will work on computer education programmes,classrom refurbishments, summer camps for children and distribute books and educational resources.I have the target of raising 2,600 for this amazing opportunity. 1,400 will go towards volunteer participation costs (accommodation,flights,visas,insurance,local transport and training). 1,200 of these funds will cover the cost of the project we will be working on (construction of schools,houses,educstional resources) I have organised evets to help me reach my goal and also covered costs myself in order to raise this amount. I have only 250 left to raise for this good cause.Any donation, big or small is much appericated and will help this important work being done by UCDVO. If you would like to read more about the UCDVO projects you can look on there website www.ucdvo.org Thank you ! !